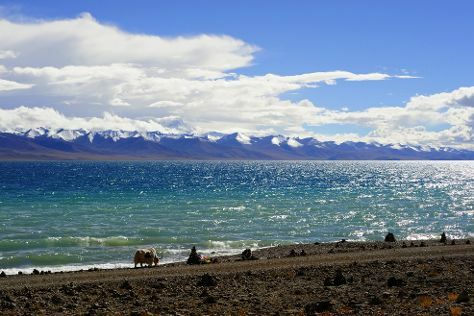 On the 12th (Fri), explore the activities along Lake Namtso. Get ready for a full day of sightseeing on the 13th (Sat): explore the striking landscape at Yangbajin Geothermy and then take your sightseeing to a higher altitude at Tanggula Mountains. To find reviews, more things to do, ratings, and tourist information, go to the Damxung County road trip planner. Denver, USA to Damxung County is an approximately 30-hour flight. Traveling from Denver to Damxung County, you'll lose 15 hours due to the time zone difference. Finish up your sightseeing early on the 13th (Sat) so you can travel to Lhasa. The capital of the Tibet Autonomous Region, Lhasa possesses a wealth of Tibetan Buddhist sites of historical and cultural importance. Lhasa is known for historic sites, museums, nature, classes, and nightlife. Your plan includes some of its best attractions: browse the exhibits of Potala Palace, contemplate the long history of Norbulingka (Precious Stone Garden), take in the spiritual surroundings of Sera Monastery, and see the interesting displays at Tibet Museum. To see other places to visit, maps, traveler tips, and tourist information, use the Lhasa travel itinerary planner . The Route module can help you plan travel from Damxung County to Lhasa. In April in Lhasa, expect temperatures between 60°F during the day and 39°F at night. On the 17th (Wed), you'll have the morning to explore before heading back home.